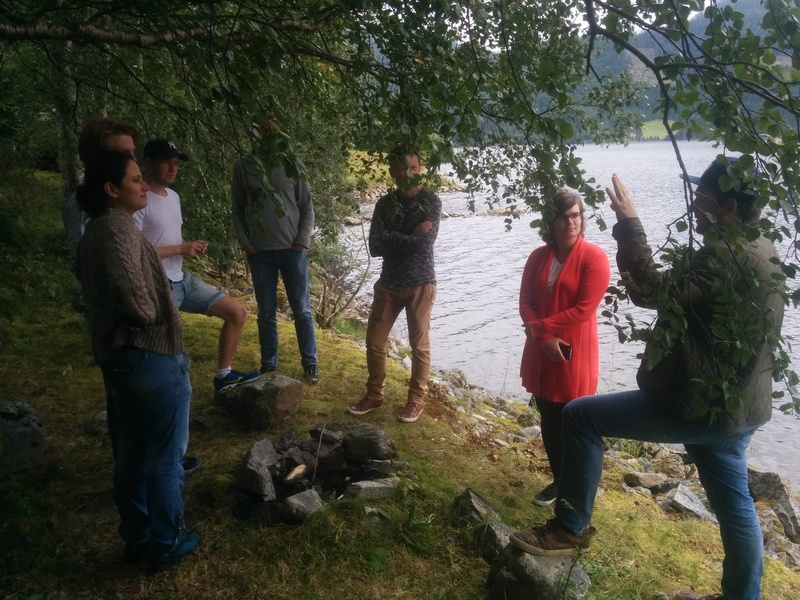 Ana Sanchez Laws and I led a workshop on Cross-Media Storytelling and Outdoor Media with staff and students in Media and Journalism at the University of Volda in Norway, from 17 to 22 August 2016. The scenery in the fjords is spectacular, and it is no wonder that Outdoor Media is one of the main themes at Volda. For example, see some of the work done by Ana’s students in Web Documentary last year, which includes 360 video of speed flying (paragliding on skis), glamour photography on mountain peaks, Bjørnar’s surround video of climbing the world’s highest bonfire, and various drone videos of skiing. T he workshop participants brought along range of technologies that included a DJ1 Phantom Video Drone, a Parrot BeBop Drone, a Ricoh Theta 360 camera, an Oculus Rift VR viewer, a Gear VR viewer, and a Zortrax M200 3D Printer. We brainstormed a cross-media experience as a way of learning about these technologies, and exploring how the media could be combined for storytelling and journalism. Thormod mentioned there was a Viking grave near his house, and a heritage regulation requiring a line of sight from the cairn down to the lake which had to be considered in siting his house. This sounded like an interesting story, so we visited and began planning aerial shots from the drone, 360 views inside the cairn of stones, and flight paths along the stone fence down to a fireplace at the lake. After further discussion we came up with the idea that the Viking could be angry about the modern world encroaching on his grave, and could be shouting abuse at the passing traffic. 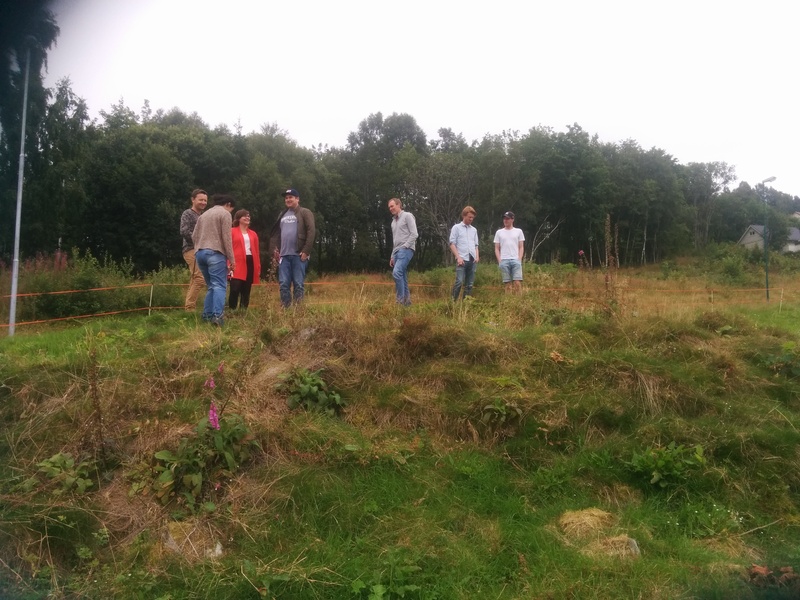 Tormod found some archival documents from the archeological exploration of the site in the early 20th century, which include the name of the Viking which means “giant”, and information about farming at the site. Jon brought his experience as a producer at the BBC to help us storyboard a cross-media production that began with a “rabbit hole” at the location of the grave, that leads to a video trailer to introduce the story, and then transitions to a 360 image taken inside the grave that is the gateway into a 3D world that contains historical artefacts that are portals to further storytelling elements. The storyworld in the grave is intended to be extendable with additional artefacts as new information comes to light. Daniela, Bjørnar and Dag wrote a script, and recorded Bjørnar voice acting a convincing Angry Viking in the genuine local accent. Once the dialogue was done, the rest came together very quickly over the next 2 days. However, we settled on a simple QR code to prototype a way to access the video trailer on a mobile phone at the location. Carl edited together the video from drone footage. The video ends with the URL of a Unity 3D app that transitions the story into the interior of the grave where it is made to be viewed on the Oculus Rift VR headset. The grave sequence begins with a 360 panorama taken by Thormod inside the cairn with the Theta camera. Ana created the 3D under-world inside the grave which has a particle system of skulls, a viking village, and grave items that are portals to further videos, such as the path to the fireplace. I 3D printed the logo from the Vikings TV series to prototype the idea of locating a physical artefact in the fireplace as a conclusion to the story. In just a couple of days we had gone from zero to a cross-media prototype that incorporated something from all of the technologies that had been brought to the table. It was great fun and a terrific learning experience. 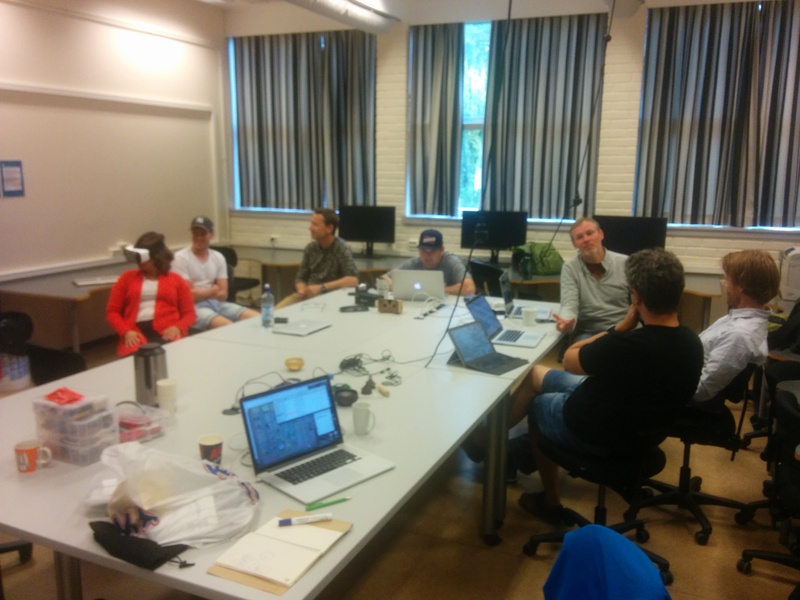 Many thanks to Ana Sanchez Laws, Carl Nesset, Jon Harman, Dag Roland, Tormod Utne, Daniela Mala and Bjørnar Saevik for active participation and contributions to the workshop.